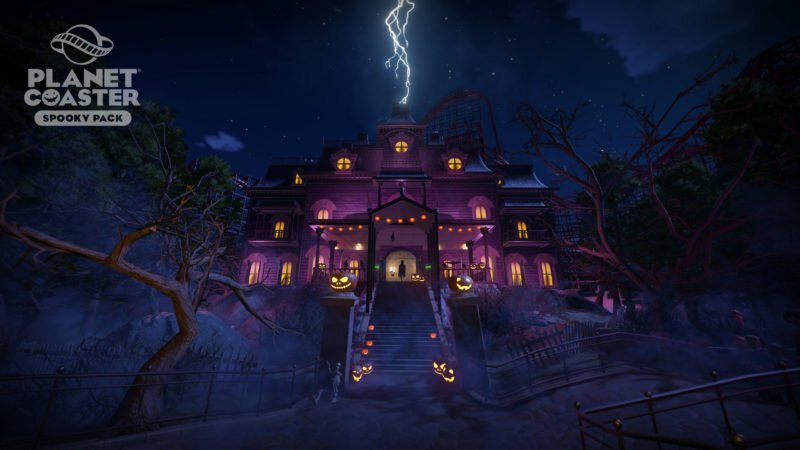 There has been a lot of hate going around recently surrounding the $11.99 Spooky DLC that Planet Coaster released this morning. Most of the complaints center around the idea that this DLC should have been in the game when it launched, but some people are also just angry that the developers are charging for anything. After a few hours checking out the pack, I can say unequivocally that there is more content in this release than most games would give in a $30 DLC pack… I should also note that personally I think the base game with no DLC is well worth the $45 price tag (I’ve put about 100 hours in), and am totally on board with the developers beginning to charge for DLC. With that out of the way, let’s look at what the developers are offering players this holiday season. Two new building sets: Crypt and Haunted House – This means new decorations, walls, roofs, etc. There’s a lot of great pieces here and I’ve already begun to use them on the construction of a new dark ride. The standout piece has to be the windows with billboard functionality, meaning you can swap out the interior of a window for any jpeg or movie file. The Huntsman – This is a new trackless dark ride that allows players to control, pitch, yaw, roll and car angle at different times during the ride. Imagine Disneyland’s Haunted Mansion, but with three-dimensional movement instead of only swivels. 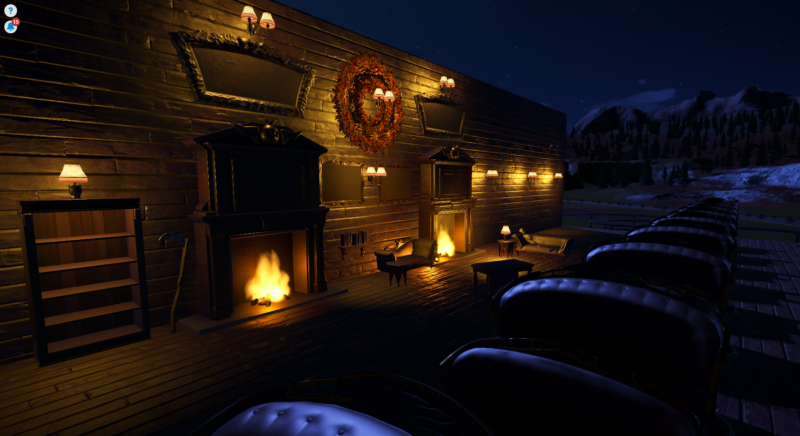 The Hoax – A free spinning dark ride with tight corners. This is more like your traditional ghost train fare. New Special Effects – Once again, the number of special effects added here was immense! We now have colorable fire/mist/smoke, lightning, rain, slime, and a few other surprises. All of these effects look great and can likely be transferred to other rides as well. I’m thinking about throwing that lightning on my Back to the Future dark coaster. New Scenery – There’s far too much to describe here, but we got tombstones, gargoyles, animatronic skeletons, phantoms, and a ton more. The team really outdid themselves here with some of the prettiest scenery the game has to date. In total, there’s over 200 new pieces of scenery, with around 46 of them being animatronic. Special shout-out to the haunted books which look spectacular. King Ghoster – Not likely to excite most people, but King Ghoster is a new mascot that will haunt your park. Side note: he looks hilarious. New Audio Tracks – There’s 7 music tracks, 18 ambient sounds, and 70 sound effects. That’s massive especially when you consider the small-ish size of the game’s initial library. Avatar Hats – Who doesn’t want to see their guests roaming around in skull masks and witches hats? 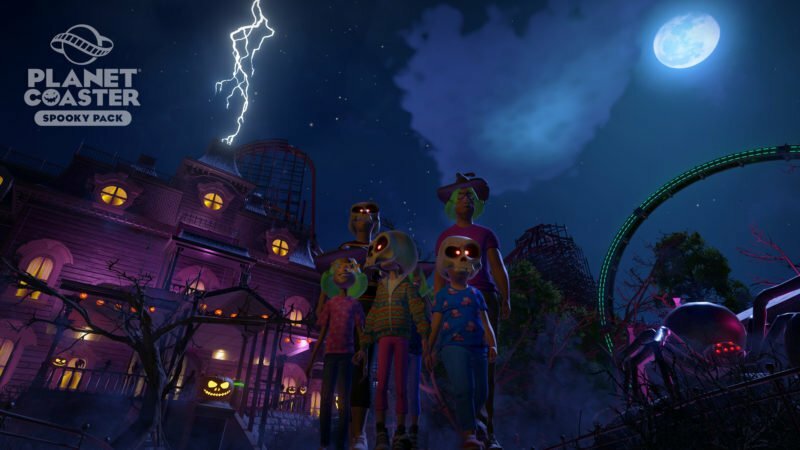 As possibly the biggest expansion of Planet Coaster to date, I’m going to say absolutely this is worth the $11.99 price tag. Not only does it allow for the creation of some amazing dark rides, a lot of these pieces will be able to transfer into other themes. Big thank you to the Frontier devs for listening to fan requests, and honestly for keeping the DLC cheap.